The much anticipated Don Juan in Soho has opened at the Wyndham’s Theatre. The production, written and directed by Patrick Marber and starring David Tennant, received a fantastic response from critics. 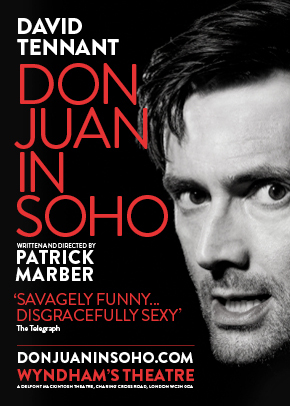 Don Juan in Soho will complete its strictly limited season on 10 June 2017.